Further strengthening its aim to be the comedy icon of India, Sony SAB has launched its new brand identity. The ‘re-energised’ channel will see a new line-up of comedy shows, lively packaging and vibrant visuals. SAB’s new creative expression encompasses a new logo, tagline and brand films. The new logo features ‘happy’ colours, including bright orange and yellow symbolising vibrancy yet comfort and warmth with a little oomph in the purple. The laughter movement is being driven by a line of shows with refreshed flavour of comedy, while keeping the core of the content intact. Recently launched ‘Sajjan Re Phir Jhoot Mat Bolo’, along with upcoming line-up of shows like ‘TV, Biwi Aur Main’, ‘Tenali Rama’, ‘Shankar Jay Kishan, 3-in-1’ and ‘Aadat Se Majboor’ will herald a youthful, contemporary and relatable feel. Meanwhile, Varun Dhawan has been roped in as a Happiness Ambassador for SAB. The channel promise of ‘Haste Raho India’ is being brought alive through a series of brand films anchored by Varun against a foot tapping music track. The new brand personality is aligned to changing aspirations of new India. Why undertake this rebranding exercise for Sony SAB at this point of time? In today’s time when consumers have the option to see, observe and read so much, it is imperative for a brand to keep that connect with the changing and evolving audience. If I am a brand which is 10 years old and I have catered to someone when he was of the age 10, today he must be 20 years old, somebody who was 20 is now 30 and so on. Human beings constantly keep evolving in the way they think, they operate or perceive things and hence, from a brand’s stand point, it’s very important to take cognizance of that and develop yourself towards the changing aspirations of consumers. More than anything else, we have taken into account that India is changing rapidly and the consumer is changing with it. It’s an aspirational country that we are living in and there is something more that the consumer wants to see. As a brand, we had to evolve and we found our purpose, which was the starting point of the whole joinery of rebranding. We brainstormed and came across many things and then the happiness index findings came out and we said to ourselves that if we can touch even a fraction of India’s population for a few hours and change their frown into a smile, we would achieve our purpose and hence, the rebranding. The rebranding process started around three months back and it usually takes us that long a time; even the IPL campaigns took us five good months. 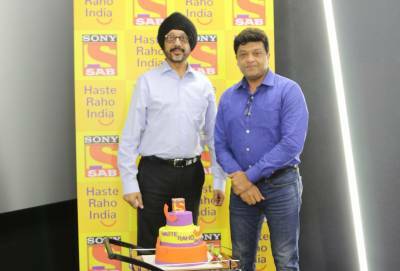 Sony SAB’s content has revolved around comedy-based and light-hearted family oriented shows. Will we now see a change in the channel’s content strategy? The content for SAB TV will remain the same, but it will definitely be more youthful, colourful, energetic and vibrant. We want to tell a lot of stories, cater to a cross section of a much wider audience, but without changing our content genre. What would be the key points in Sony SAB’s marketing strategy going forward? The channel’s rebranding marketing kicks off from today (June 14, 2017) with print ads in The Times of India newspaper, followed by a 360 degree robust marketing campaign on digital, outdoor, television and radio in a big way. 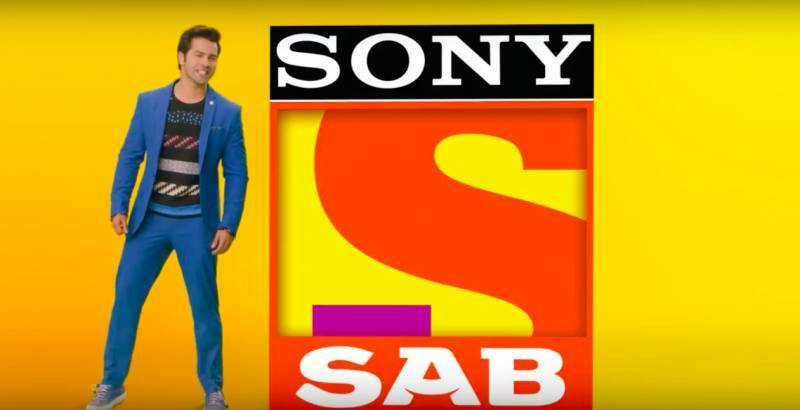 Since we are a network of 30 channels, we will be utilising all the channels to promote the rebranding of Sony SAB. Which markets are you targeting to fuel growth for the channel? We are primarily targeting the Hindi speaking markets, which include the North and the Western parts as those are the important markets for us. What kind of marketing efforts have you made for the North since we see little traction from that area? Viewership in the North is a task for ourselves and it is something that we recognise, and that is why a part of our content is also skewed towards northern markets in terms of flavour and linguistics. India is a diverse country, but the language of cinema is the same all over the nation and if you are able to tell a story well, language does not really matter. How are you strategising to increase Sony SAB’s viewership and reach? We hope that the rebranding will help the channel and it will catch on sooner or later, we know it’s going to be a slow growth and nothing will change in ten days. The audience will react after seeing the content everyday for many months and weeks or even quarters or a year. At the end of the day, it is about consistency and what you churn out every day and the half an hour slot by half an hour slot will have to be good. Are you looking at entering early prime time? We will enter early prime time eventually, but we are not looking at entering there just yet. But it will happen sometime in the future. Will the new shows be only finite post rebranding? I certain want finite shows and usually every channel and producer starts off wanting finite shows, but it's the ratings game that they get trapped into. My personal view is that nothing should go beyond a year and that’s clearly what we brief all our producers and we have an agreement on the same. Will you be adapting international shows post the rebranding or going forward? I believe there is enough and more to do here in India and there is no need for any adaptations of international content in comedy. Although, if we feel that we are completely impressed with something then we will definitely consider doing it, but the problem is most international shows are short seasoned with not more than 13 or 14 episodes in every season and are aired only once a month. Internationally, the actors do workshops and shoot only one episode in four days, but here in India, we talk about shooting two episodes each day. Seasonal runs don’t work in India as people want to watch the story grow every day. It’s like a daily fix with a cup of tea or coffee which a person needs every morning and if they don’t get it, it’s a problem. How will the Varun Dhawan help create brand connect for Sony SAB? Choosing a channel ambassador is a very critical decision to make, because it may go horribly wrong as well. SAB is doing something on this scale for the first time in 10 years ever since it was launched and Varun Dhawan lent himself beautifully for the rebranding campaigns. He is dynamic, fresh, successful, energetic and has a lovely appeal to himself. Since he is a guy with a lot of youthful zest, he fitted the bill completely for everything that we are trying to do with this revamping. Despite having immense potential, do you think the comedy genre remains underexploited by channels? Why is it the case? Comedy genre is extremely underexploited by channels and that is primarily because our numbers are skewed. One will be foolish to say that comedy will someday replace large general entertainment channel (GEC) numbers, because comedy will never have those kinds of large numbers. At the same time, there are several GEC shows that are not doing great today because it’s the same kind of content on every channel and that’s why most channels are attempting comedy as a relief and I believe comedy will get its due in times to come. Comedy as a genre is difficult to execute and the number of actors in the comedy space are limited, compared to the GECs.